The Sony Planar T* FE 50mm F1.4 ZA is a very fast, extremely well-built "standard" lens for Sony full-frame mirrorless cameras that delivers excellent image quality. It is big and heavy and also costs a lot, though, so you may want to consider some of the smaller, cheaper alternatives. Both centre and edge sharpness are acceptable when shooting wide-open at f/1.4, though, good at f/2 and outstanding from f/2.8 onwards. There's very little evidence of chromatic aberrations and minimal distortion too - the only real optical issue is vignetting at wide-open apertures, admittedly something that other fast lenses also suffer from. Build quality is outstanding, with the metal lens mount and housing contributing to the high-quality feel, and Sony have also made the lens both dust and moisture-resistant. 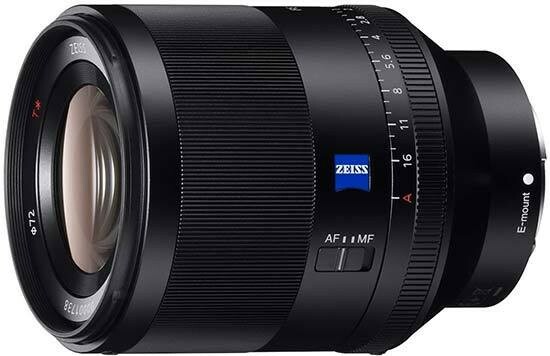 It is easily the biggest and heaviest 50mm lens currently available for the Sony FE system, though, resembling a short telephoto lens when the large lens hood is fitted. Auto-focusing was acceptably quick on the A7R II that we tested the lens with, although we missed having manual focus over-ride at any time. The price of the Sony Planar T* FE 50mm F1.4 ZA is undoubtedly very high, as are the size and weight, but if you want outstanding image quality coupled with stellar build quality, look no further than the Sony Planar T* FE 50mm F1.4 ZA.